What is the ideal blood pressure? We arrived at the consultation, the doctor makes us a couple of questions, ask us we rise sleeve jacket, put a blood pressure monitor and measure the blood pressure. This scene is repeated again and again in the consultations of the whole world and our tension arterial says a lot about our state of health.What should be our blood pressure? Why is it so important for our health? Today we look in detail here in your blog Natural-Lotion health. In the simplest terms, we could say that the blood pressure is the pressure or force that gets the blood flowing through our veins and arteries and properly irrigate our whole body. The resemblance to the pressure of water in our homes something: little water if there is insufficient pressure reaches the pipes and dripping faucet instead of jets; there will even be our home taps to reach them not a single drop of water. In the blood pressure influencing all three factors: The volume of blood circulating in our body, the ability to contraction of artery walls (which causes blood from going along the driving route) and finally the good work of the heart muscle called the heart. Have you ever wondered why the two numbers appear blood pressure? The reason is that the device measures the two types of blood pressure, commonly known as “high” and “low“. The systolic blood pressure measures the pressure when your heart contracts. It is the first number on the blood pressure. The diastolic blood pressure measures the pressure when your heart relaxes, and is the second figure showing the blood pressure. Another common question that arises when handling a blood pressure cuff is first understands its unit of measure: mmHg. This is the abbreviation for millimeters (mm) of mercury (Hg comes from the Latin word Hydrargyrum which translates as mercury). 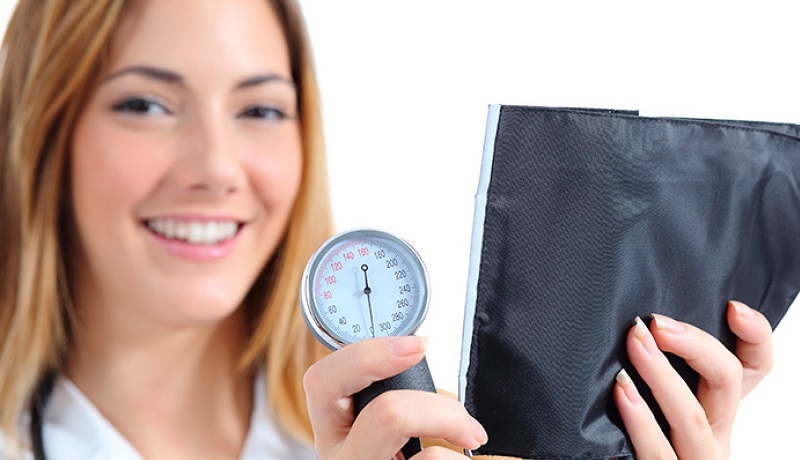 This metric is used to measure blood pressure and typically are abbreviated numbers, for example, if you take the tension in the pharmacy and tell you that you13/9,that will mean that the blood pressure monitor is measuring systolic blood pressure130 mmHg and diastolic blood pressure of90 mmHg. Our blood pressure varies throughout the day and can fluctuate up or down depending on many variables: If you have eaten too much or too little, if your body is rested, etc. Blood Pressure ideal, maximum between 12 and 12.9(120 and 129 mm Hg) and low between 8 and 8.4(80 and 84 mmHg). The magic number:12/8. Anyway and as they say all the doctors, if the values measured the blood pressure are lower than these and do not show any symptoms indicating a problem of health, great. In the case of blood pressure, “less is more” because hypertension is one of the most serious health problems of our supercharged XXI century. You may also like to read another article on Natural-Lotion: Which is your ideal weight? In medical circles to hypertension blood, they have christened with a name that says it all: “the silent killer“. According to the WHO, one-third of the world’s adults have hypertension and, worst of all, many of them do not know until it is too late. For example, there are 14 million hypertensive and more than 9.5 million of these people do not follow any treatment or controlled by your doctor to avoid suffering such serious problems as bleeding brain, accidents, cardiovascular, cognitive impairment, dementia senile, impaired vision, erectile dysfunction, etc. Would you now control your blood pressure and do not have a blood pressure at home? Do not worries, in the pharmacy have? Visithttp://evolutionsofar.com/for more health and fitness tips. What is most important: The appearance or personality? Next story How to lower fever naturally?